RAS buys and dismantles ATR aircraft for their parts. This “part-out” service offers you two unique advantages: Access to hard-to-find ATR parts, along with an attractive new disposal option for your surplus ATR aircraft. RAS makes it easy. We manage all the logistics, including transporting the fuselage and other large parts. 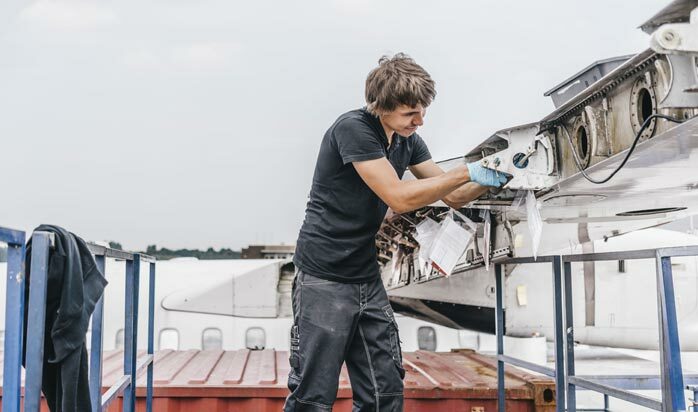 Our technicians carefully disassemble the aircraft, then repair and recertify the parts. Those often hard-to-find parts, including outer wing assemblies and landing gear, are among the huge $11 million USD parts inventory that RAS maintains in Germany and the eastern United States to ensure fast MRO turnarounds. Contact one of our ATR specialists for more information on parting-out your ATR 42 and ATR 72 aircraft.